During our Disney vacation back in December 2014, our second character meal was at Hollywood & Vine over at Disney's Hollywood Studios. We knew that out of all the character meals Disney has to offer, this would be Michael's favorite. The Disney Junior Channel is on all the time at our house and Michael loves all the shows they play. Hollywood and Vine is located across from Echo Lake and is a buffet/family style restaurant that serves American cuisine.. When you walk in, you are transported into a Hollywood cafe from the early 1900's. While you are enjoying your meals, characters will come to your table to meet with the family, sign autographs, and take pictures. Keep in mind that there are no PhotoPass photographers with the characters so, keep your cameras nearby. You never know when I character will stop by. 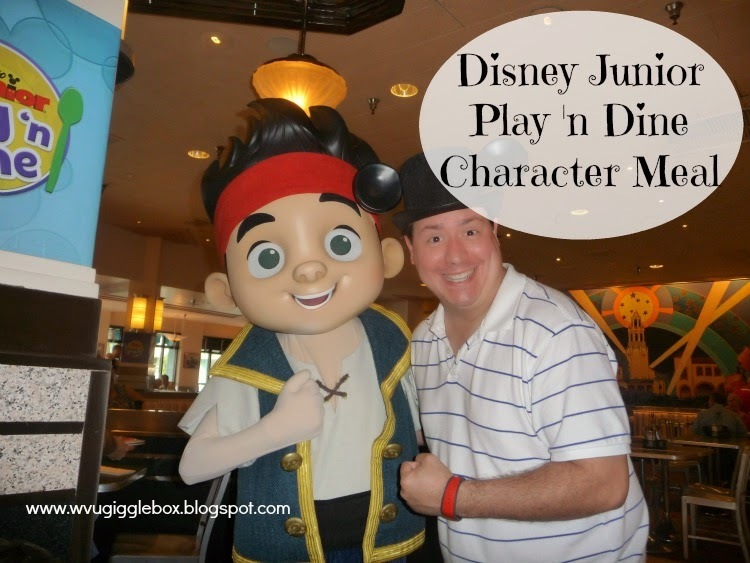 At the Disney Junior Play 'n Dine, you get to meet all the favorite Disney Junior characters. We chose to go with the breakfast buffet which, in my opinion, has much more to offer than the lunch buffet at the Crystal Palace did (Character Meal at Crystal Palace). The buffet had a nice assortment of foods that even our young and old picky eaters where happy with. Our first visitor was Sophia from Sophia the First. Michael did much better at this character meal, he never hid under the table like he did at the Crystal Palace. Handy Manny came by to visit. 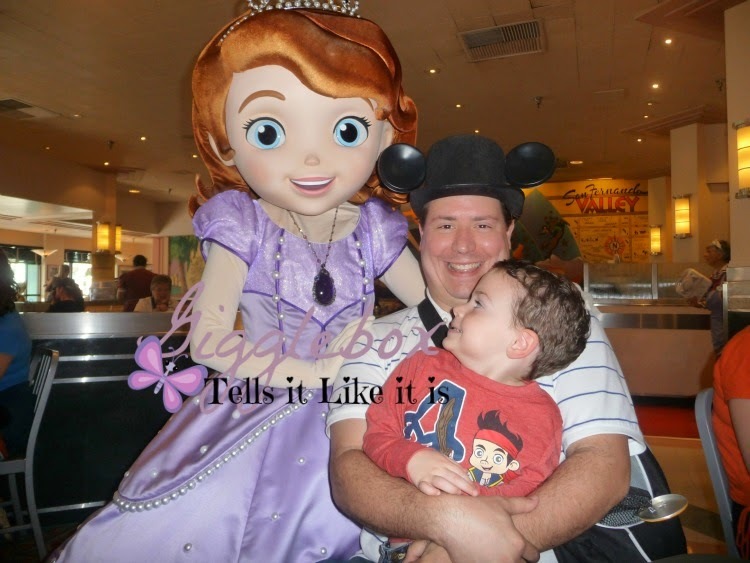 He seemed to get a kick out of the special Play 'n Dine autograph pages we had for Michael's autograph book (Making your own Disney autograph book). 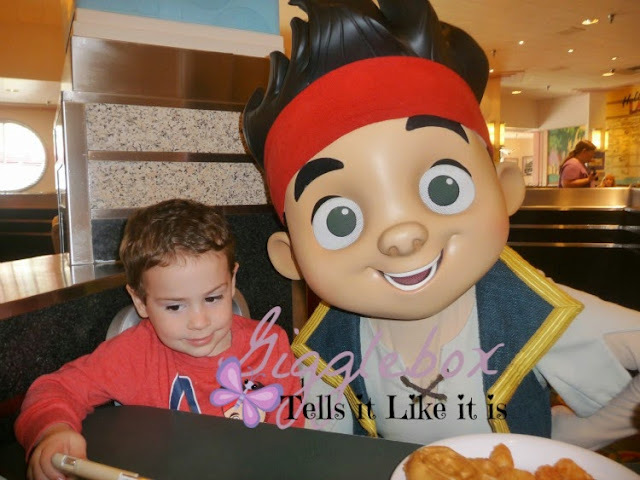 Michael's personal favorite, Jake from Jake and the Neverland Pirates. 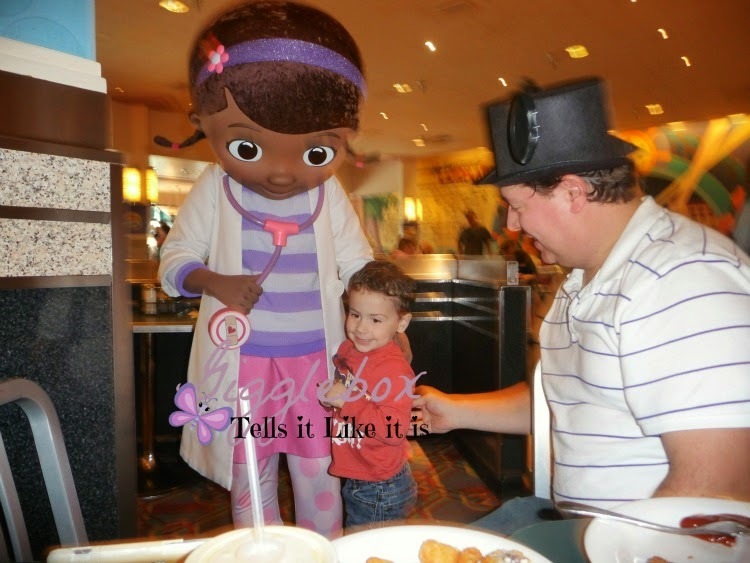 Doc McStuffins came by and Michael decided to get up and give her a hug. Along with the characters going to each table, they do a little show where the kids can come up and dance with the characters. 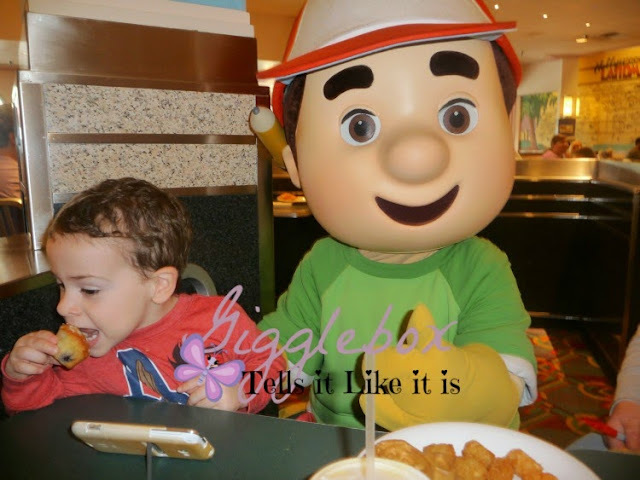 If you have children who love watching these shows and any other shows played on the Disney Junior Channel, I highly recommend making a reservation for this character meal. I'm sure we'll be coming back on our next Disney vacation. Update: Hollywood and Vine now offers two different character dinning experiences, Disney Junior Play 'n Dine (breakfast) and Minnie's Seasonal Dinning (lunch and dinner). In my opinion, breakfast seems to be the best meals for the character dinning that we've been to so far at Walt Disney World.